It's the one place in the universe where a vampire can bask in full sunlight without danger of death -- a red star, deep in open space. Kristof's newly purchased ship will take vampires there, to experience the novelty of constant day. But he himself is afraid to take that last step into the light. Until Tomas arrives to show him just how arousing the sun can be. 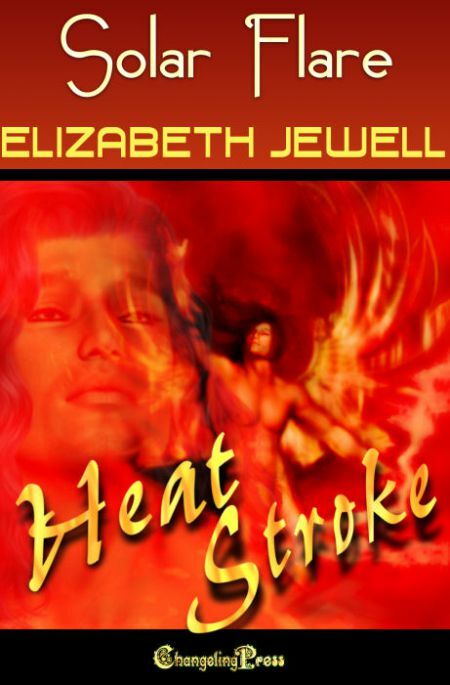 "This short story heated me up quickly and had a very passionate scene. If you are looking for a very short story with plenty of heat to get you in the mood, then I recommend this story for you!" "If you like short stories that contain a whole world inside just a few pages, if you think that a vampire hungering for sunlight deserves to find a way to get what he wants, and if you’re looking for a read that is as hot as it is thought provoking, then you will probably like this short story." Tomas's hand tightened on his again. "Are you ready?" Kristof swallowed. "I think… Yes, I think I am." They stepped forward. After the second step, when the light was only inches away, laying its golden outline on the floor, Tomas let go of his hand and wrapped his arm around Kristof's waist instead, pulling him into a half-embrace. "One more step," he said, and it seemed to Kristof he was reassuring himself as much as he was reassuring Kristof. The light was pure and warm and red, slanting in through the wide, unfiltered, unobstructed window that made up nearly a third of that side of the spaceship. The sensation of it pouring over Kristof's skin was unlike anything he'd ever felt before. Even when he was alive -- and he could barely remember that time, tucked away in a far-distant recess of his centuries-old mind -- it hadn't felt like this. It fell over him like water, warming his skin, his flesh. He felt as alive as he'd ever felt, as vital as he did after a long, leisurely feed. "God…" he murmured, and Tomas smiled. "Wonderful, isn't it?" the other vampire said, his voice still quiet. His hand reached for Kristof's and folded around it, fingers threading through Kristof's grasp. Though surprised, Kristof didn't pull his hand away. It felt good -- surrounded by humans as he often was, he rarely touched anyone with any sort of intimacy. Tomas's fingers were long and slim, his grip sure. "Do you know what makes it even better?" Kristof turned his head, letting the light cover the side of his face, and looked into Tomas's eyes. And he knew the answer without asking, without even thinking. He nodded. "Yes."